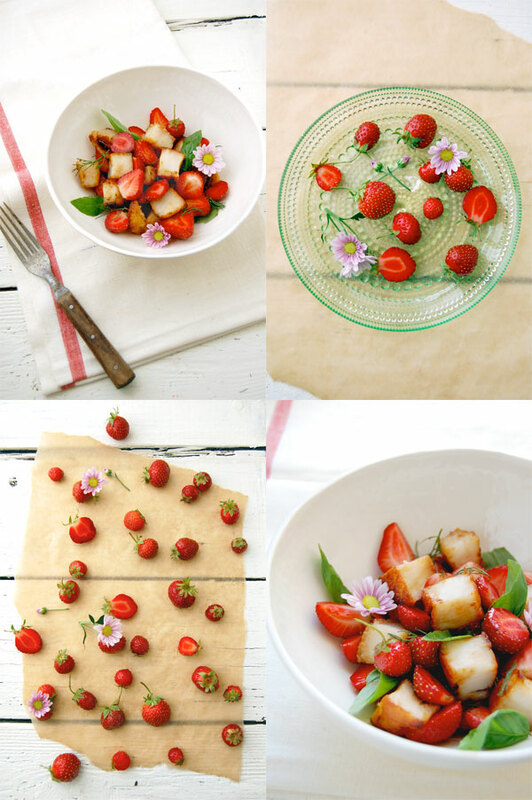 Seared Scallop, Strawberry, and Basil Salad. 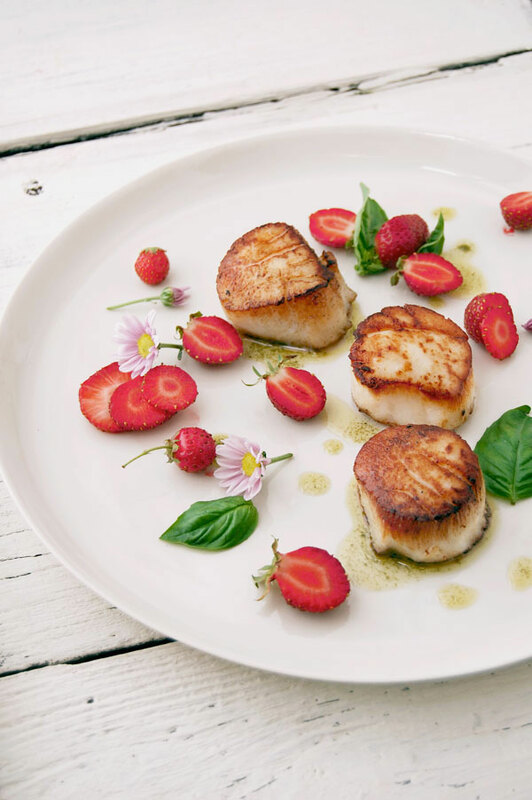 I adore fruit in many savory applications and here, these U-10 scallops are kept pretty simple with a touch of a few strawberries. I especially adore this combination because it’s bright, and unexpected. There’s a sweet creaminess from the beautiful scallops and an explosion of sweet and tart juice from the strawberries. 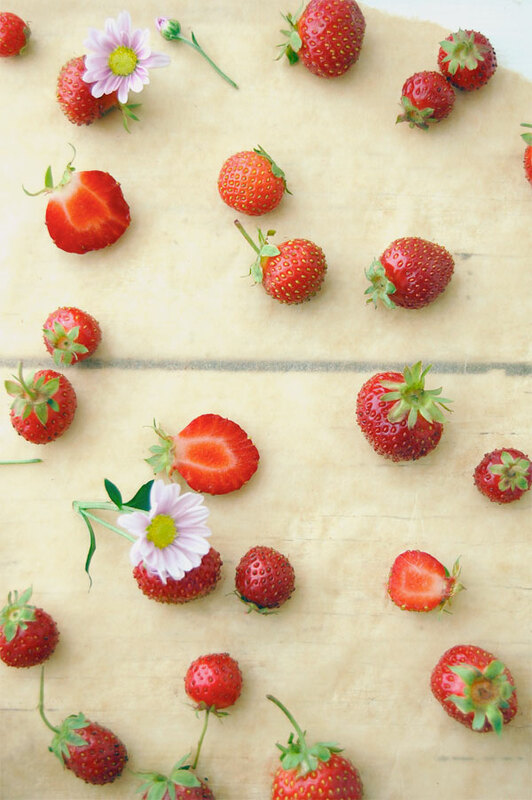 Strawberries and cream? A slightly different approach on that, but yes sure, strawberries and cream. 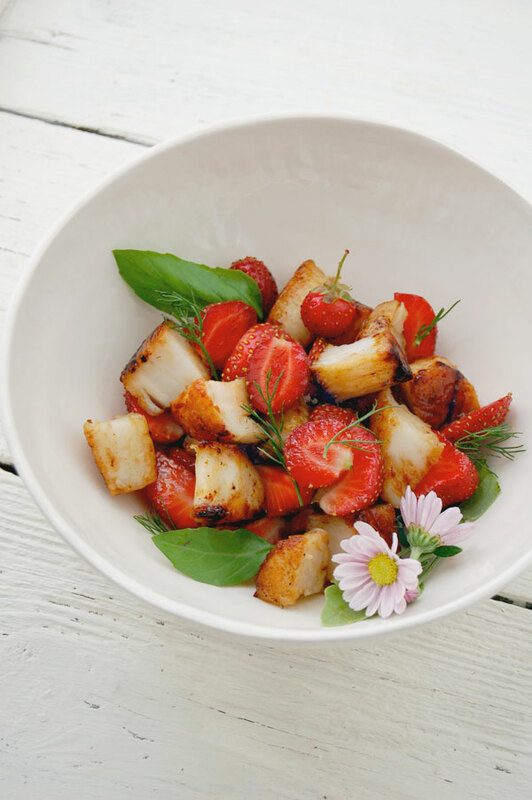 No need for a vinaigrette, the juice from the strawberries, the cooking oil from the scallops, some herbs, and a splash of lemon juice make this dish very easy to prepare. 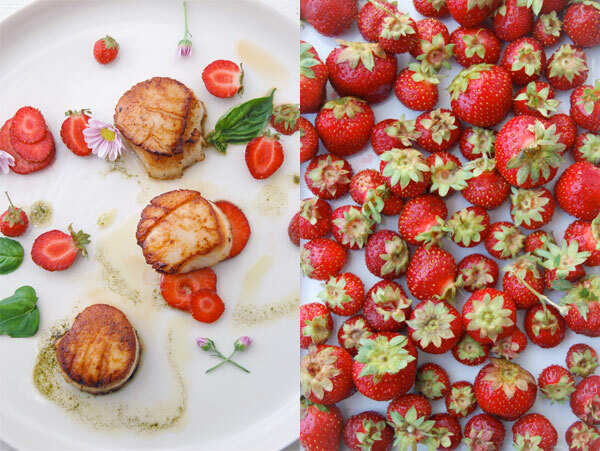 My strawberries are making a resurgence too, and seared scallops? My all-time fave! Lover-lee post! Heidi-Yay for scallops! Thank you so much! 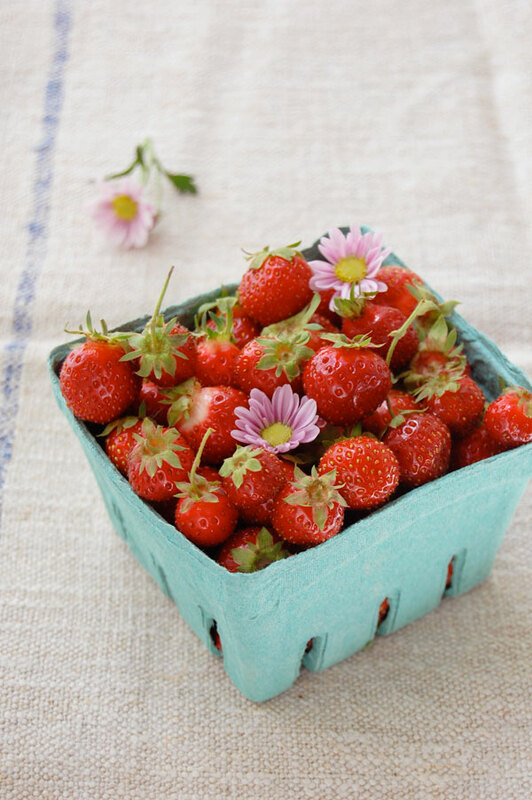 Thanks for stop by my blog.Your composition are beautiful and the recipes sounds very fresh and delicious. So simple, yet soooooooo elegantly delicious! I hope you never have to STOP killing croissants in Paris em, I do miss you though. Only wishing we could be over there cooking together. Dream. Stunning! What a gorgeous recipe, and it sounds absolutely delicoius. Scallops pair so beautifully with fruit. 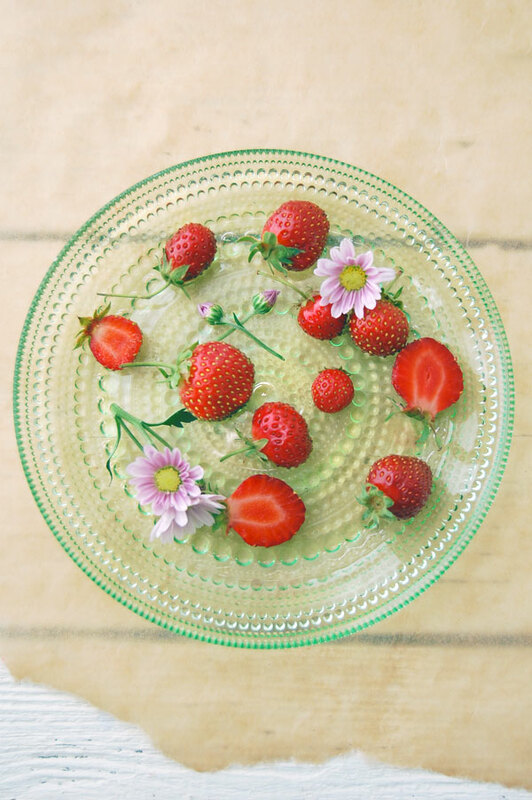 I love how you liken this dish to strawberries and cream – what a great description! Carrie- I am so happy you think so!!! So kind of you, thanks! Next PostMango Pies, Sabayon, and Fresh Figs.